Pakistani President Mamnoon Hussain is due to make his first official visit to Qatar today. Energy, labor and defense are likely to be high on the agenda, Pakistan’s Ministry of Foreign Affairs said in a statement. In February, the two countries signed a US$1 billion deal in which Qatar will export LNG to Pakistan for the next 15 years. 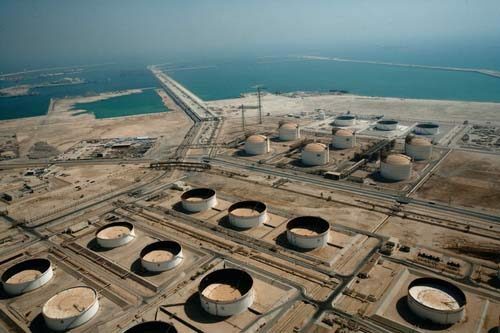 And more recently, Qatargas and Pakistani firm Global Energy Infrastructure Ltd. signed a 20-year LNG sale and purchase agreement. However, speaking to Gulf Times, Pakistani embassy officials stressed that no agreements are expected to be signed during this trip. Instead, the president is making “a goodwill visit” at Sheikh Tamim’s invitation, the newspaper cited one official as saying. In addition to meeting Qatari officials, Hussain will visit children at a Pakistani school and other community members. Last year, Qatar’s Emir met with Hussain during his inaugural trip to Pakistan. At that time, officials pressed Qatar to hire more of its nationals. According to Pakistan’s Ministry of Foreign Affairs, more than 125,000 Pakistanis live in Qatar. And remittances are an important part of their home country’s economy. “We would appreciate if Pakistani manpower in Qatar is substantially enhanced,” Pakistani Prime Minister Nawaz Sharif was quoted as saying in March 2015. Sharif also raised the labor issue during his own visit to Qatar in February of this year, when the crucial gas deal was signed. Hussain is expected to leave Qatar on Oct. 25. Thoughts?